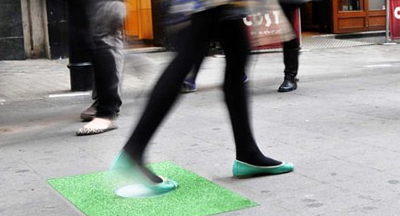 This new technology from PaveGen harnesses the energy created by footsteps to generate electricity for nearby infrastructure. It's fun to dance on, but will it solve our energy problems? At least one life-cycle analysis of the technology raises some concerns, noting that it doesn't necessarily generate enough power to offset what it costs to ship and produce. Still, the idea has promise...and gives a whole new meaning to the term "people-powered travel."